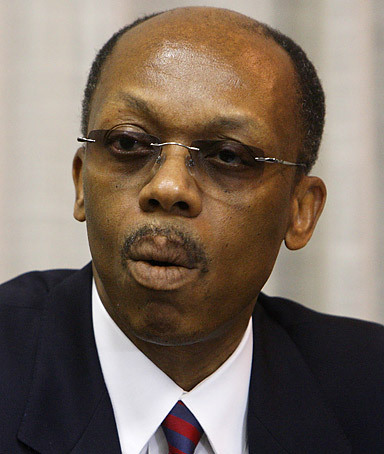 See the gallery for quotes by Jean-Bertrand Aristide. You can to use those 7 images of quotes as a desktop wallpapers. We must all make peace so that we can all live in peace. As far as we are concerned, we are ready to leave today, tomorrow, at any time, to join the people of Haiti, to share in their suffering, help rebuild the country, moving from misery to poverty with dignity. The spirit of Ubuntu, that once led Haiti to emerge as the first independent black nation in 1804, helped Venezuela, Colombia and Ecuador attain liberty, and inspired our forefathers to shed their blood for the United States' independence, cannot die. Today, this spirit of solidarity must and will empower all of us to rebuild Haiti. Haiti, Haiti, the further I am from you, the less I breathe. Haiti, I love you, and I will love you always. Always. Peace in the head, peace in the stomach. Haitians don't like to say they are hungry because we are proud. I am confident that I can serve my country without being involved as the president of the country now. I respect religion and will respect any religion. 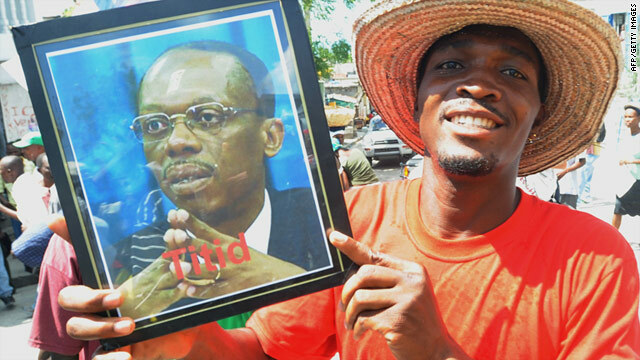 I will work to bring peace to everyone - whatever economic level - as long as you are Haitian. If one suffers we all suffer. Togetherness is strength. Courage. Of course, learning is strengthened and solidified when it occurs in a safe, secure and normal environment. 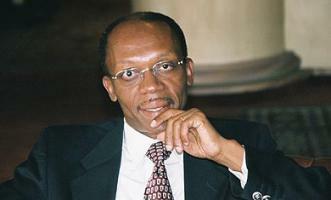 The first time Haiti had free and fair democratic elections was 1990, when I was elected. The future of Haiti must be linked to the respect of the rights of every single citizen. We are all equal, rich and poor, and we need a society where the people enjoy their rights. 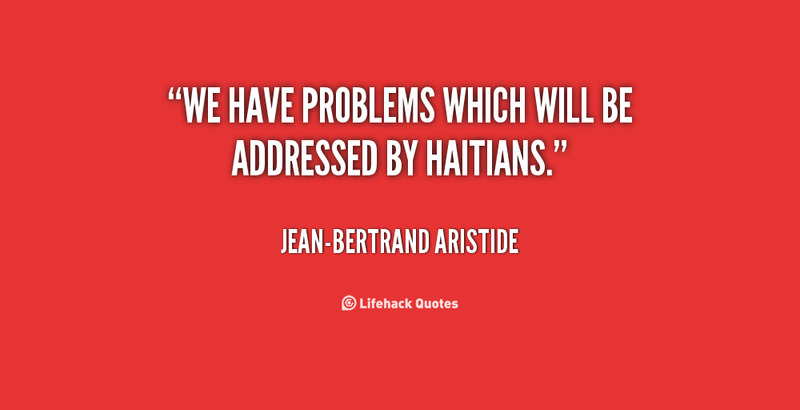 We have problems which will be addressed by Haitians. When we say 'democracy' we have to mean what we say. When you care about human beings, you do your best to not repress and to not let people to repress and to not arm people to repress. As we all know, many people remain buried under tons of rubble and debris, waiting to be rescued. When we think of their suffering, we feel deeply and profoundly that we should be there, in Haiti, with them, trying our best to prevent death. I know how the American people care for that democratic principle. They want to see their vote respected. As we in Haiti want to see the vote of the people respected. In 1994, when I went back to Haiti from exile, we established a Commission for Truth and Justice and Reconciliation. I passed the documents to the next government, and I never heard about it again. Sometimes people who want to understand Haiti from a political perspective may be missing part of the picture. They also need to look at Haiti from a psychological perspective. Sometimes people who want to understand Haiti from a political perspective may be missing part of the picture. They also need to look at Haiti from a psychological perspective. Most of the elite suffer from psychogenic amnesia. That means it's not organic amnesia, such as damage caused by brain injury. It's just a matter of psychology. The structure of apartheid is still rooted in the Haitian society. When you have apartheid, you don't see those behind the walls. That is the reality of Haiti. 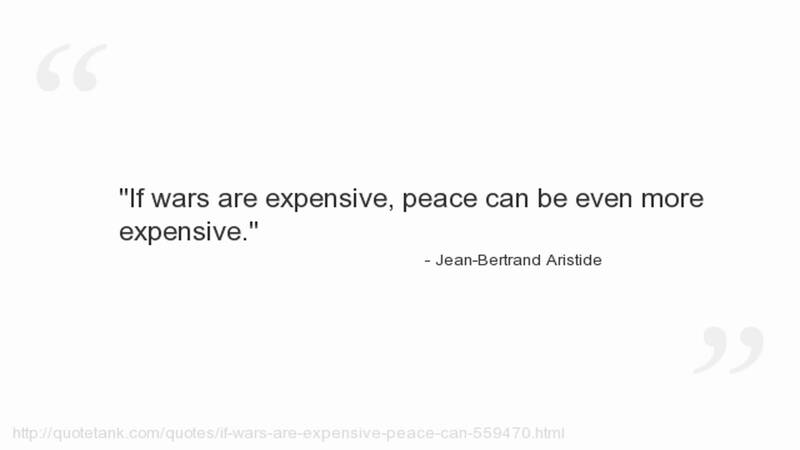 Much more quotes by Jean-Bertrand Aristide below the page.